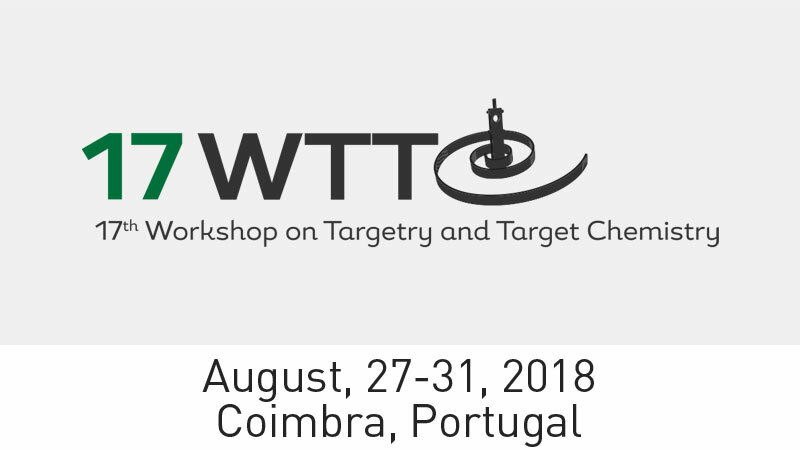 WTTC 2018 is the 17th International Workshop on Targetry and Target Chemistry. It will be held August 27-31st in Coimbra, Portugal, at the Auditorium of the Sub-unit 3 – Faculty of Medicine, University of Coimbra (Pólo III), Azinhaga de Santa Comba, Celas. At WTTC, you can meet our team at booth no.11: Giacomo Guidi, Diego Rizzato and Dario Locatelli. Giacomo Guidi, our R&D Manager, will gladly share with you the latest ALCEO test results, so don’t miss this opportunity to talk with him at our booth. What is ALCEO? It is our Solid Target Processing System.